True style begets all trend. The MFIL vivant is a very stylish girl. She loves all things grand, yet feminine; original, yet beautiful; pretty with a touch of haute, diamonds in the rough, and believes that sometimes simple things can be the most fulfilling. She never hesitates to add a bit of the estate life to everyday affairs. She also prides herself in making the ordinary extraordinary! 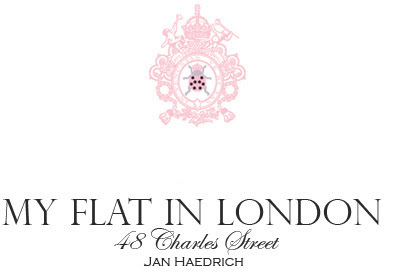 My Flat in London is proudly sold in over 450 stores worldwide including Fred Segal and Stanley Korshak. 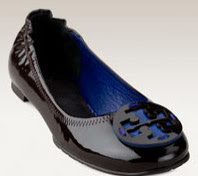 In addition, the My Flat in London accessories can be found on HSN. 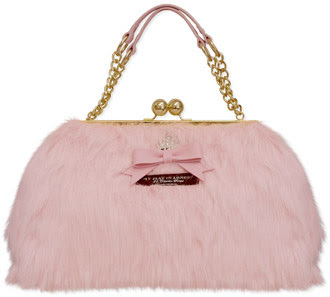 I adore all things pink so its no wonder I fell in love with this handbag, the Faux Fur Kelly ($395)! This handbag gives girly girl a whole new different meaning. It is sophisticated and posh with a price tag to prove it. 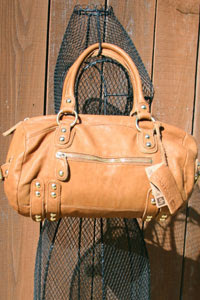 I was stunned when I first received this handbag, because I've never come across a handbag so beautiful. Hardly any other top designers could compete with this brand. This handbag has beautiful, intricate details - from the giant twist kiss lock closure to the signature MFIL crown with pink leather bow underneath. This beaut is ideal for important evenings out. I had one lady to stop me at a store to ask me who was this handbag by. This hardly happens to me! I'm known to carry around a lot and was surprised about how spacious it is. I still had a lot more room after putting my essentials in. If the pink isn't your color, this handbag is also available in faux leopard or faux french mink in brown. The HMB Petite Wool Tote ($175) is another exquisite handbag from the My Flat in London line that I absolutely adore. I haven't had the chance to use this handbag, but I can hardly wait to get the chance. 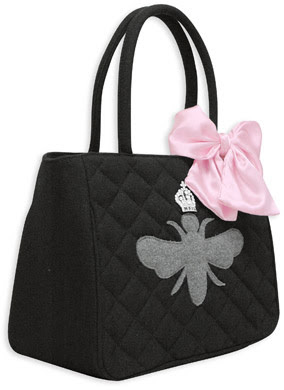 I love how it is cleverly designed with a grey felt bee with a crystal crown encrusted on top - no need for written words, it screams Queen Bee. Whether it is brunch or tea, this is the perfect handbag to provoke a conversation. My Flat in London has a plethora of accessories to help you maintain your lavish lifestyle. Each handbag comes with a beautiful silk dust / sleeper bag to protect your handbag. HP Vivienne Tam “digital clutch” is now available for order at http://www.hpdirect.com/minivt! Bursting with the same fabulous florals found in Vivienne Tam's Spring 2009 collection, this special edition notebook seeks to satisfy the highly mobile, Internet-centric fashionista. 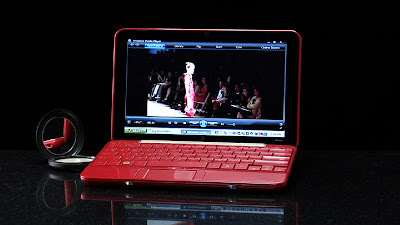 It features a 10.2-inch diagonal BrightView display, fashionable wallpaper, 8-color finish and custom slip cover. You’ll stay on top of what's "right now" with e-mail and Internet access on the go. The Vivienne Tam edition is priced at $699. As Fergie gets set to release her two-part shoe line, Fergie/Fergalicious, in February 2009, the singer headed to New York to meet with Brown Shoes’ designers to talk footwear. But what’s the scoop on the collection for all of us who can’t wait til February to see it? “I wanted to express my style sensibilities through the shoe designs, and create looks that fashionable women will love to wear,” Fergie tells PEOPLE. “Both collections have their own subtle iconic ornamentation and details representing symbols that are important to me, and recognized by my fans.” Fergie is also making sure her lines are affordable to all her fans. The first, “Fergie”, line retails between $89-$129 and the second, “Fergalicious”, line retails between $49-$59. We can’t wait to see what Fergie has in store for us. For weeks, rumors have been swirling that Madonna would be gracing Louis Vuitton’s new ad campaign. The French fashion house has remained mum — until now. Her Madgesty will indeed appear in the Spring/Summer ‘09 ad campaign that will hit magazines in February 2009. The star is shot by legendary photographer Steven Meisel (who infamously collaborated with Madonna on her intimate book) in a sultry French cafe setting. When it came to choosing the new face, designer Marc Jacobs wouldn’t have it any other way. “I wanted the campaign to be very bold, very sensual and very atmospheric. To carry off all these references and all its sophistication, we needed the ultimate performer — and for me, that is Madonna,” says Jacobs. We couldn’t agree more. Joining the likes of star-favorite designers like Lela Rose, Stacey Bendet for Alice + Olivia, Patricia Fields and more, the Project Runway winner will lend his skills to a line for Payless, Christian Siriano for Payless. Siriano has inked a multi-season deal with the affordable retailer to produce his first stand-alone line of shoes and handbags. “I’m so excited to design and create with such an amazing brand that is all about fashion and trend but, most importantly, is also about affordability,” said Christian in a press statement. 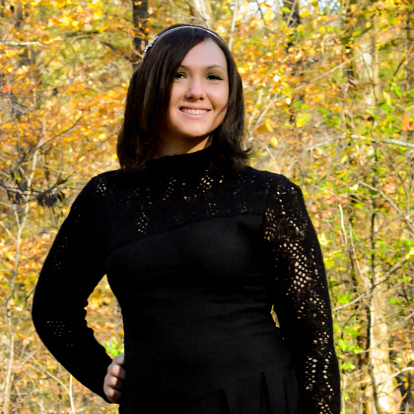 “I can’t wait to see how [Payless] will take the high-end shoes and bags I’m designing for the runway and turn them into pieces that everyone can buy. I’m all about the runway and the sidewalks!” Christian’s Payless collection will be unveiled at his runway show at New York Fashion Week next February and then exclusively available in Payless stores and Payless.com in fall ‘09 with price points expected to be in the $25 - $45 range. Since 1895, four generations of Goorins have been advancing the art of hatmaking. Growing the business mainly by underground word of mouth, the Goorins have kept the artistic integrity of their products and the purity of their techniques intact by choosing not to mass market their wares. For over a century, each generation of Goorin brothers has elected instead to cater to individuals who are not swayed by trends, but inspired by timeless tradition and authentic quality. Because, at Goorin, they know style isn’t something you see in a magazine. It’s something you make on your own. Goorin Brothers is bringing back the hat with vigor and purpose, appealing to a very special class in society. The New Royal Class, as Goorin sees it, is comprised of those creative, unique individuals found in every walk of life who blaze their own trails. These original thinkers thrive in an atmosphere of underground inspiration and want a hat that will help them express their distinctive spirit. Wear anything from the Goorin collection and you can tell your story without ever having to say a word. Like you, perhaps, a Goorin is full of contradictions: It is timeless and timely, grounded and groundbreaking. Rooted in tradition, yet calling for change. You are defined by the accessory you wear. Review: I received the Goorin Brothers Shawna Fingerless Gloves ($23) from Anonymous Venice. I've never been the type to get into regular gloves, because I like my fingers to be free. So I was very pleased when they started making fingerless gloves. They keep my hands and fingers warm enough to write with. These gloves are snug and are very beautiful with a floral embroidery. This particular style is available in black with white floral embroidery and blue with grey floral embroidery. You might be interested in the Goorin Brothers Flashdance Armwarmers in gray or crea ($20) if you're looking for extra warmth and comfort. Two lucky winners will have a chance to win ChicBuds (a $49 value) for themselves and to pass to friends and family. Each winner will receive 6 pairs of ChicBuds. 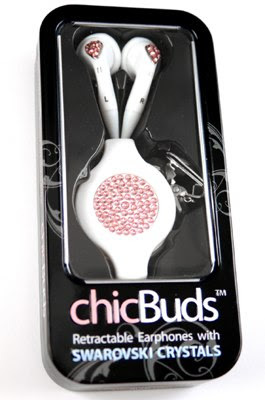 ChicBuds are adorned with over 100 Swarovski Crystals. Available in five delicious "flavorable" colors: Blueberry, Grape, Watermelon, Sour Apple and Marshmallow! Not only this is fabulous ear candy, but it includes a built-in retractor so that the cords will not tangle, 5 stopping points on the retractor so you can adjust the length for any activity,and a fastening clip so the cord doesn’t bounce around. You can also clip it on the side of your purse so you don’t lose them. Cindy Crawford is also a fan! Answer the following question: What is your favorite song, and what color would you like to receive? Post about it on the comment widget along with name and email address on the comment widget above instead of replying to the post (less hassle that way). All of your information will be hidden. You can enter this contest once a day. The giveaway will conclude December 5th. You can double your chances by linking the giveaway on your blog, Twitter, MySpace or joining our forum. Note: The winner will be chosen randomly and the prize will be sent to the winner by the sponsor. One lucky winner will have a chance to win Shower Earrings (a $40 value) from Twisted Silver. 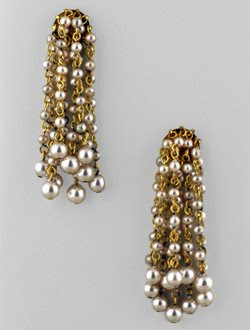 A glamorous shower of baby pearls cascading looks flirty and feels like Hollywood. Answer the following question: What Twisted Silver design will you wear to your next holiday party? The giveaway will conclude November 28th. Tucker Paisley's first eco-tote bag. This large grocery tote is stylish yet environmentally friendly. The front side of the tote features Tucker Paisley's new eco-logo. The tote is made from recycled cotton with 25" cotton web shoulder straps. 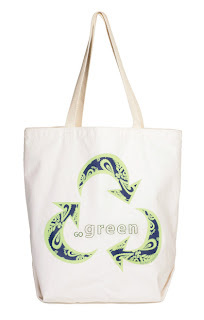 Using this eco- friendly tote, rather than plastic bags, is another great way to be kind to our planet. A portion of proceeds from sales will be donated to the Arbor Day Foundation. She's been compared to Jacquelyn Kennedy and has fashionistas everywhere buzzing – and she hasn’t even moved into the White House yet. From her polished blow out to her flawless makeup, first lady to-be Michelle Obama exudes an effortless and sophisticated glamour that is sure to inspire women of all ages. Mixing designer pieces with budget friendly items, Obama’s look is chic, elegant and just a little adventurous. Sleek, shiny and simple, Obama’s hair is a perfect accent to her impeccable style. For a smooth blow out with tons of body, this weightless crème contains a long lasting medium hold and 24 Smooth Multi-Mend TechnologyTM to instantly smooth, repair damage and stop frizz before it starts – for silky, straight hair that lasts all day. Natural yet polished makeup gives Obama a fresh faced glow that always looks great. Prescriptives embraces all women, all skins, all ages with products that enhance the unique beauty of the individual and shades that flatter every skintone. With over 170 shades and 9 formulas to choose from, Prescriptives has all skins, all women covered - from lightest to darkest. Only Prescriptives can create a shade to perfectly compliment any skintone for the most natural look possible. Customize your coverage, finish and specific needs such as oil control, moisture level and brightening and firming elements for an unbelievably flawless match. The moisture-rich formula of Colorscope Lipcolor delivers extraordinary shine and comfort for lips you'll love at first sight. This rich brownish red shade will drench your lips in brilliant color and leave them looking luscious all day long. The long-wearing formula of Colorscope Eye Color has a soft, smooth finish that glides on skin and blends evenly for an incredibly silky feel. This shimmery brown shade is modern, sophisticated and adheres to skin for long wear and lasting pigment. Obama is not afraid to experiment with bright, bold colors and favors monochromatic color schemes. Knee length dresses in simple, feminine silhouettes flatter her shape and give her a fresh, stylish and always sophisticated appeal. The High School Musical actress channeled Cher from Clueless in this black blazer, strapless gray dress and knee high socks. 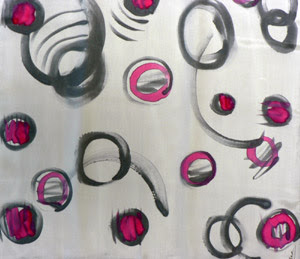 One winner will receive a handpainted silk scarf ($25 value) from Gilbea. All you have to do is post what item you like from Gilbea, post about it on the comment widget along with name and email address on the comment widget above instead of replying to the post (less hassle that way). All of your information will be hidden except your favorite product choice. You can enter this contest once a day. 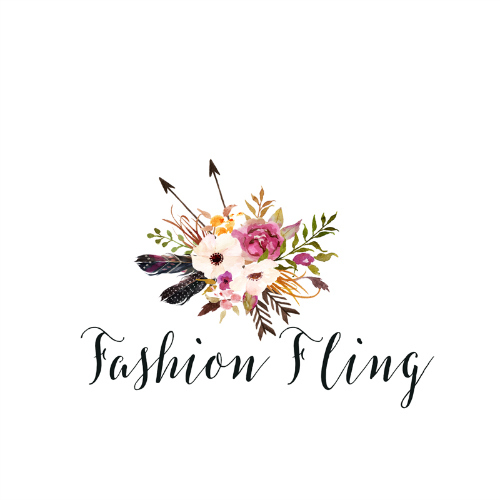 Be sure to stop by her blog for unique gift ideas and fun giveaways! The giveaway will conclude November 11th. This contest is international. Everyone can enter! Note: The winners will be chosen randomly and the prize will be sent to the winner by the sponsor. 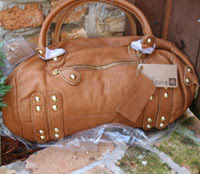 One lucky winner will have a chance to win a Linea Pelle Long Speedy Handbag in Whiskey (a $495 value) from Kataphileo. All you have to do is post your favorite handbag from Kataphileo on the comment widget along with name and email address on the comment widget above. You can enter this contest once a day. The giveaway will conclude October 26th. We value our readers privacy. We assure you that your email addy is only viewable to us and all entries will be discarded once the giveaway is over. One lucky winner will have a chance to win a Search for the Cure Caddy (a $29 value) from Crane & Co.
All you have to do is post your favorite item from Crane & Co on the comment widget along with name and email address on the comment widget above. You can enter this contest once a day. A stationery ensemble that shows where your heart is. Pearl white correspondence cards with a pink ribbon icon at the top. Coordinating pink mist envelopes. Boxes are wrapped with a pink ribbon for gift presentation. The giveaway will conclude October 24th. One lucky winner will have a chance to win two fabulous pieces I did a review on recently, the Athena bracelet ($40) and Diva Necklace ($50) from Twisted Silver. All you have to do is post your favorite piece from Twisted Silver on the comment widget along with name and email address on the comment widget above. You can enter this contest once a day. Twisted Silver is home of the affordable convertible, where belts become necklaces, become chokers or become multi-wrap bracelets! There's so many options to wearing one of their pieces of jewelry. The giveaway will conclude October 21st. 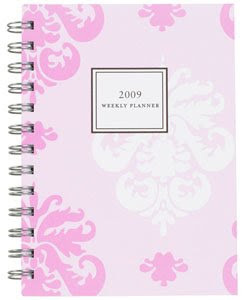 One lucky winner will have a chance to win a fabulous 2009 weekly planner of your choice from Sarah Pinto (a $25 value). All you have to do is post your favorite choice from Sarah Pinto on the comment widget along with name and email address on the comment widget above. You can enter this contest once a day. Sarah Pinto's 2009 Weekly Planners are a simple, functional and fun organizational solution. These durable planners measure 5” by 7” and are made with high-quality recycled paper, soy-based ink and they are printed and bound in San Francisco, California. With five unique cover designs, Sarah Pinto’s 2009 Weekly Planners are a stylish, eco-friendly answer to your busy everyday schedule. The Tapestry planner features a pink and white floral patterned cover. A portion of the proceeds goes to California Pacific Medical Center Pediatric Cardiology. Show Lucky Magazine how you style your jeans for a big night out. Three finalists will be featured in an upcoming issue of Lucky Magazine. The winner will get to style a professional photo shoot for Lucky Brand. Click here to enter the contest. You never know, this might be your lucky chance. The contest ends November 4th, 2008. I have the Diva Necklace ($50). I guess that I had better say, "we have the Diva Necklace". I share it with my mother/business partner since she's in love with that piece of jewelry! She loves chokers, but I don't see where she's having a problem wearing the Diva Necklace instead of the Diva Choker (Was $40.00 Now $20). Yes, Twisted Silver does have the Diva Choker! This piece is very light. You're aren't bothered with the heaviness around your neck. I have one over on my mom. She isn't into bracelets and I absolutely love bracelets! That means I don't have to share my Athena bracelet ($40) with her. This snap cuff surrounds your wrist in a simple brass design with a lovely arc Greco-Romanesque plague. I love the vintage look. It is very beautiful and unique! Debra Mitchell is the Twisted Silver founder and designer of fabulous and funky jewelry that's adorned by Hollywood's celebrities. Her pieces are regularly included in VIP gift bags and Celebrity auctions for GRAMMY. Maria Shriver, Nicolette Sheridan of Desperate Housewives, Finola Hughes of General Hospital, and host at Style Network, Ming Na of ER, singing sensation Renee Olstead, and Brooke Burke of Rock Star IN*XS are among the Hollywood elite that rock Twisted Silver. Signature designs featured in a variety of popular style publications, at network program events, and are a favorite of the Style Network show, "How do I Look?" 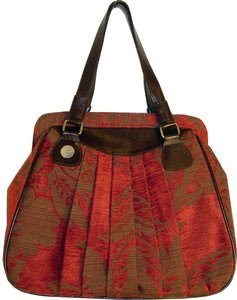 One lucky winner will have a chance to win a Red Haven Pleated Frame Bag ($154) courtesy of Nest Bags. All you have to do is go to Nest Bags, pick out your favorite item, and post a comment along with name and email address on the comment widget above. You can enter this contest once a day. The giveaway will conclude October 10th. You can double your chances by linking the giveaway on your blog, follow this blog (click on "follow this blog" on the sidebar), Twitter, MySpace or joining our forum. 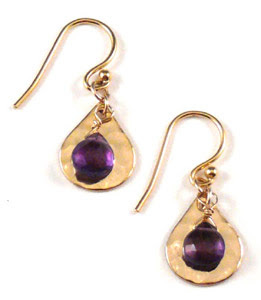 One lucky winner will have a chance to win a pair of beautiful earrings courtesy of Jennifer Rose Jewelry. All you have to do is go to their web-site (click on "Collection"), come back to this form and post a comment about your favorite item along with name and email address on the comment widget above. You can enter this contest once a day. The giveaway will conclude September 19th. One lucky winner will have a chance to win a Sorrelli Swarovski Crystal Necklace in Bedazzle (a $92.40 value) and Sorrelli Swarovski Crystal Earrings in Bedazzle (a $79.20 value) courtesy of Sorrelli. All you have to do is go to their web-site, come back to this form and post a comment about your favorite item along with name and email address on the comment widget above. You can enter this contest once a day. The giveaway will conclude September 23rd. Winners have within 7 days to respond. 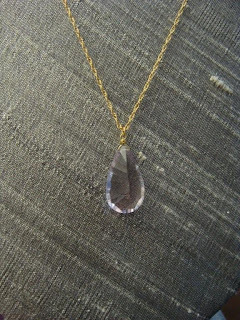 One lucky winner will have a chance to win a pink amethyst drop necklace from Melanie Auld Designs. All you have to do is go to their web-site, come back to this form and post a comment about your favorite item along with name and email address on the comment widget above. The giveaway will conclude August 30th.